Hotel Esplanade II. 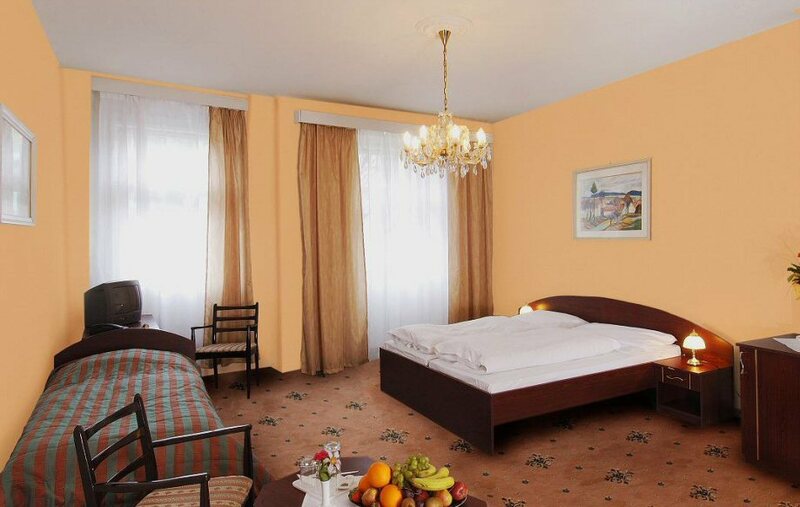 situated close to the Carlsbad spring Vřídlo offers its guests comfortable accommodation in pleasantly furnished rooms of 3* category. 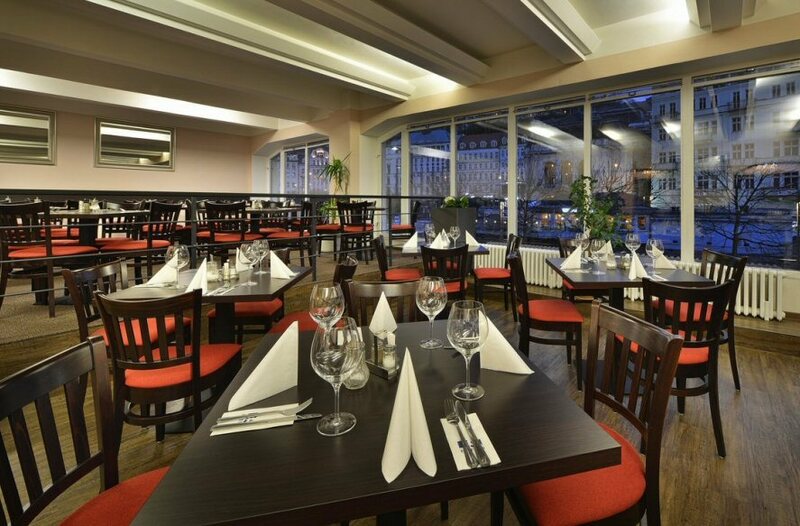 Hotel does not dispose of catering premises and own in-house spa therapy facilities and his guests can use restaurant and spa procedures of hotel Jessenius (cca 50 m). The guests can take an advantage of the location of the hotels to the spring that makes it comfortable for them to follow the drinking cure as the basis of spa treatment. Hotel Esplanade II. 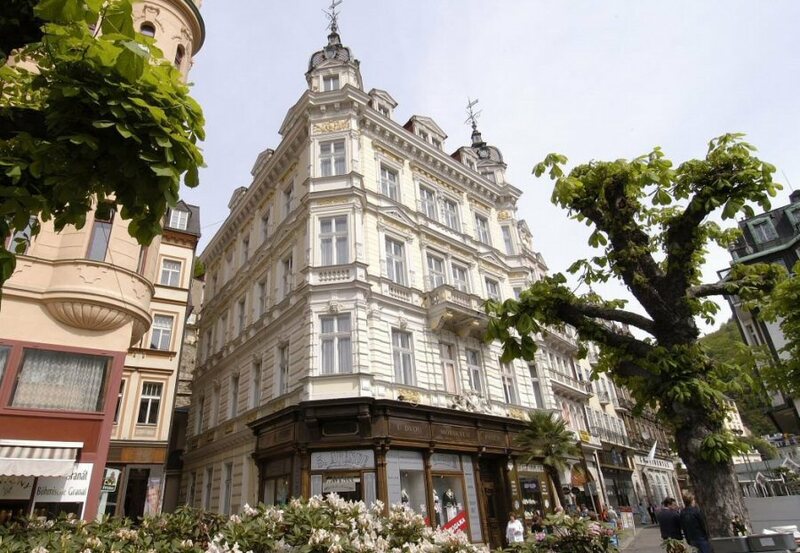 in Karlovy Vary offers comfortable accommodation in 2 single rooms, 18 double rooms and 2 apartments. 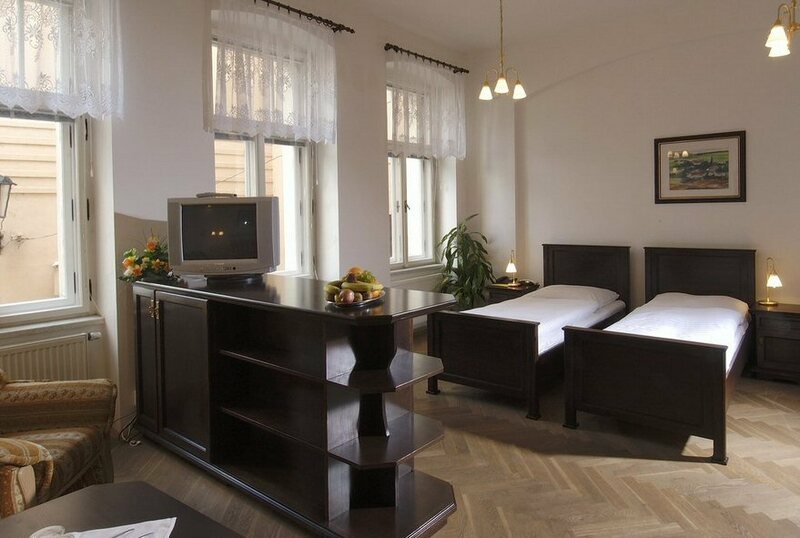 All rooms are equipped with TV/SAT, radio-alarm, refrigerator and direct dial telephone. Some hotel rooms enjoy a magnificent view on the main colonnade.